The Australian vice-captain Josh Hazlewood has been ruled out of the upcoming two-match Test series against Sri Lanka due to a back injury. The Australian vice-captain Josh Hazlewood has been ruled out of the upcoming two-match Test series against Sri Lanka due to a back injury. Hazlewood was rested for the concluded three-match ODI series against India, which Australia lost 2-1. He, however, was part of the recent Test series against India. It is the second time in this season that Hazlewood has missed Tests with a back injury; he had previously sustained a stress fracture of the back in May last year. He had also suffered a back injury in September 2010 and subsequently missed the away Test series against India. 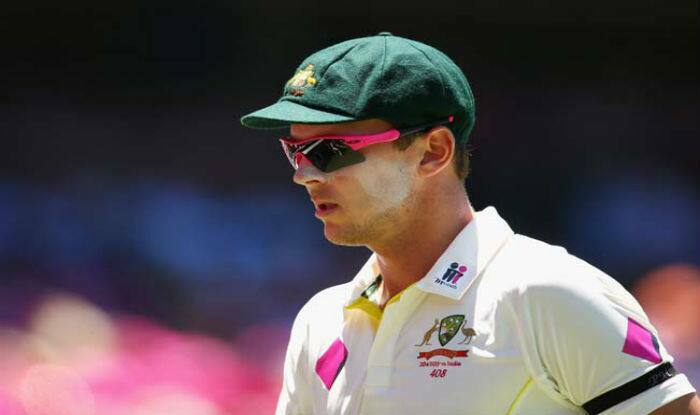 “Josh has reported some back soreness over the last few days and scans have revealed a very early stage stress fracture in the same lower back area as his previous injury from last summer,” ICC quoted the Australian physiotherapist David Beakley, as saying. Beakley, however, sounded confident of Hazlewood’s availability for the World Cup to be held in England and Wales later this year. The fast bowler has been replaced by Western Australia paceman Jhye Richardson, who was effective in the ODI series against India, took six scalps. The 22-year-old has played seven one-day and seven T20Is, but is yet to make his Test debut. “Jhye Richardson has had an impressive first half in his Sheffield Shield season and no-one could deny he has now continued that form in ODI matches for Australia. We consider Jhye to be an ideal replacement in the squad for Josh,” ICC quoted Australia national selector Trevor Hohns, as saying. The first Test, a day-night game with the pink ball, between Australia and Sri Lanka is slated to be held on January 24 at the Gabba, followed by the second Test in Canberra.